The Silent Valley National Park forms the core area of the Nilgiri Biosphere Reserve. Located in the Palakkad district of Kerala, the place was so named by the British in 1847 owing to the supposed absence of the loud and noisy Cicadas. Another theory and perhaps one that is more apt is that the place is named after the Lion-Tailed Macaques, Macaca silenus, that live here. The national park is one of the most ecologically diverse areas in the world and is therefore a must visit destination for botanists, trekkers and nature enthusiasts. Lion-Tailed Macaque (Macaca silenus) – Listed as Endangered on the IUCN list. It is endemic to the Western Ghats of India and is a type of Old World monkey. 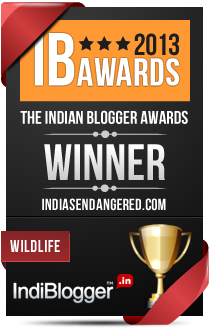 Nilgiri Langur (Trachypithecus johnii) – Listed as Vulnerable on the IUCN list. It is endemic to the Western Ghats of India and is a type of Old World monkey. Malabar Daffodil Orchid (Ipsea malabarica)- An endemic and endangered rhizomatous terrestrial orchids only found in this part of the world. The Sanctuary is located between 11°4′ – 11°13′ North Latitudes and 76°24′ – 76°29′ East Longitude. The sanctuary is spread over an area of 237.5 sq km with a core area of 89.52 sq km and a buffer zone of 148 sq km. The Silent Valley National Park is endowed with a biodiversity so rich and varied that scientists have called it ‘the richest expression of life on earth’. Proclaimed a World Heritage Site and a biodiversity hotspot by UNESCO, this national park comprises of India’s last and oldest remaining tropical evergreen rainforests. The estimated age of the forest is fifty million years and because of its relative inaccessibility, the forest remains largely pristine and has least studied habitats. The place was a topic of hot controversy between ecology and development in the late seventies and early eighties, until it was declared a National Park finally in 1984. Rainfall – 2717 to 4543 mm. The National Park has a terrain with steep escarpments and hillocks and the River Kunthi flows for about 25 kms through the valley. Four forest types can be found in the Silent Valley National Park. A botanists delight, the National Park boasts of a 1000 species of flowering plants, 100 species of ferns and similar plants, 107 species of orchids, 200 algae, 200 liverworts and 75 lichens. Many of these are endemic to the Western Ghats. Trees that are majorly found in the forest include Cullenia exarillata, Palaquium ellipticum, Mesua ferrea, Calophyllum elatum, Poeciloneuron indicum, Calophyllum elatum, Ochlandra sp, etc. The sanctuary is famous for having the highest population of the Lion Tailed Macaque which survive on the fruit of the Cullenia exarillata tree. 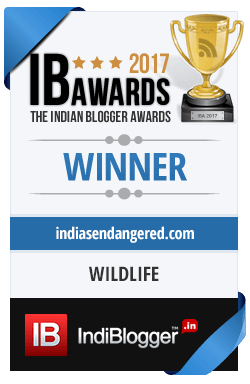 Besides this one can find mammals like the Tiger, Leopard, Elephant, Gaur, Jungle Cat, Leopard Cat, Fishing Cat, Common Palm Civet, Small Indian Civet, Brown Palm Civet, Nilgiri Langur, Bonnet Macaque, Sambar deer, Spotted Deer, Barking Deer, Mouse Deer, Ruddy Mongoose, Striped Neck Mongoose, Wild Dog, Sloth Bear, Otter, Malabar Giant Squirrel, Flying Squirrel, Indian Pangolin, Porcupine, Wild Boar and 9 species of bats, rats and mice in the National Park. Around 292 species of birds are found here several endemic to the Western Ghats like the Rufous-bellied Shortwing, Crimson-backed Sunbird, Nilgiri Wood Pigeon, Grey-headed Bulbul, White-bellied Treepie, Blue-winged Parakeet, Wayanand Laughing Thrush, Nilgiri Laughing Thrush, Black and Orange Flycatcher, Nilgiri Flycatcher, White-bellied Blue Flycatcher, Rufous Babbler, Broad-tailed Grass Warbler, and Nilgiri Pipit. Other species include Bonelli’s Hawk Eagle, Indian Black Crested Baza, Rufous-bellied Hawk Eagle, Short-eared Owl, Peninsular Scops Owl, Shaheen Falcon, Ceylon Frogmouth, Great Indian Hornbill, Malay Bittern etc. Reptiles seen at the National Park include the King Cobra, Viper, Cobra, Krait, Rat Snake, Indian Chameleon, Tree frog, Bronze frog, Rufescent Burrowing frog, etc. The National Park is also home to over 128 species of Butterflies, 400 species of Moths, at least 730 species of insects and at least 500 species of earthworms and leeches. Safari consists of the 23 km ride through the buffer zone and parts of core area within the rainforest from Mukkali to the valley, the 100 feet tall watch tower and the 1 km trek to Kunthi River. Adventure lovers can go for trekking after obtaining all requisite permits from the wildlife warden at Mannarkkad or the Forest Department office at Mukkali. Stay is available at the Inspection Bungalow at Mukkali, but needs to be booked in advance as it is limited. Private Homestays and Resorts are also available a few kms away from the inspection bungalow. Prior permission is required for trekkers so plan your trip in advance if you want to go on a trek. The forest has a lot of leeches and so do wear leech socks and carry salt to sprinkle on the leeches. The Park is a polythene free zone so make sure that whatever polythene you carry inside is brought back outside.